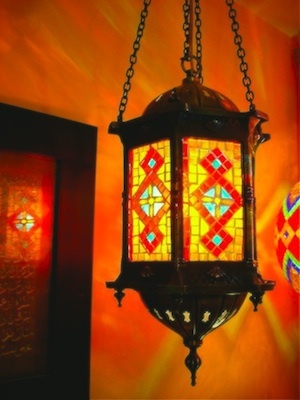 These are very special lamps, similar to those used in the restoration projects of historic buildings in Istanbul. 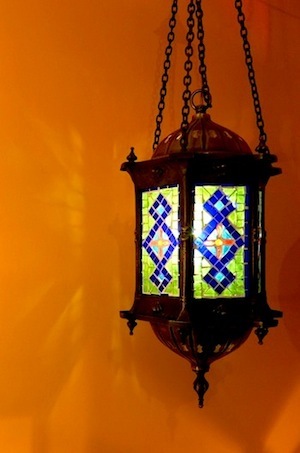 The metal is cast brass, as opposed to pressed brass so the lamps have considerable weight. 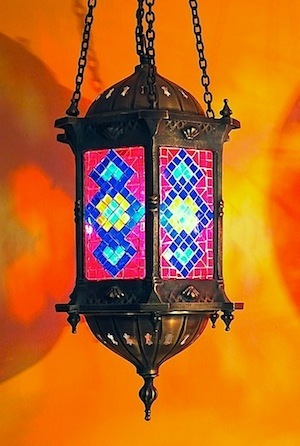 I was lucky enought to find the last remaining cache of these lamps at the factory in Eminonu where I buy. They are too expensive to make these days - too much metal, so when they're gone: they're gone forever. 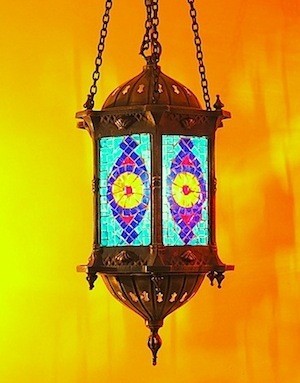 Six matching panels of mosaic in this lamp in a combination of amber, red and turquoise mosaics. Blue and red mosaics with a touch of amber, a good rich mix of colours. and blue with a touch of turquoise. 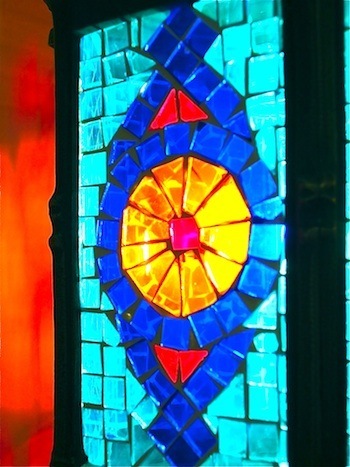 Turquoise, dark blue, a touch of red and a circular centre feature in amber and red. A more accurate representation of the colours can be seen in the photo below: much richer than shown on the left.